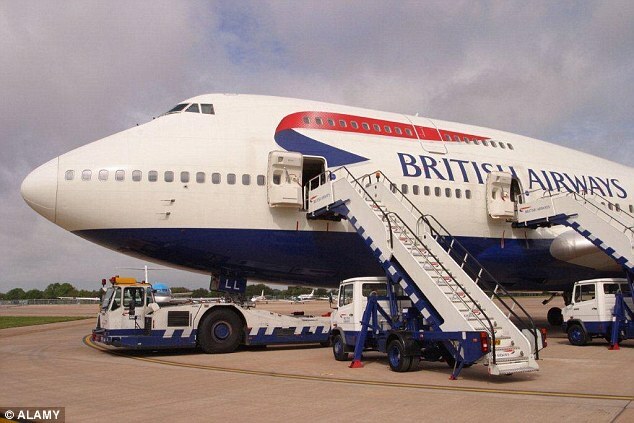 An outbreak of bed bugs caused a British Airways passenger plane to be taken out of service. On a flight from the US to Heathrow last week, staff are believed to have spotted the parasitic insects and logged the issue. The outbreak caused one row in the economy section of the plane to be closed off during the Transatlantic flight. Once the Boeing 747 had landed in London, British Airways launched an investigation. The aircraft was inspected and removed from the flight schedule while the issue was resolved and the plane was fumigated. However, days later another ‘severe’ infestation was reported as the same plane flew from Cape Town to London, according to The Sun. Will We Be Forced To Welcome Our Insecticide-Resistant Bed Bug Overlords? 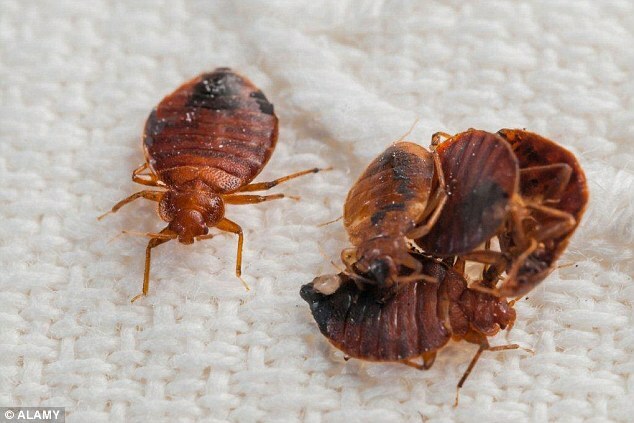 Bad news for people who hate bed bugs. The insects are developing a resistance to widely used chemicals, according to a new study. Researchers tested bed bugs taken from homes in Cincinnati and throughout Michigan, and found “high levels of resistance” to neonicotinoid insecticides. Bed bugs were a big problem until the 1930s, when use of DDT kept them in check. Then came Rachel Carson’s “Silent Spring” in 1962 and concerns over the environmental and health effects of DTT. Over the last few decades, thanks to the rise of international air travel and declines in the usage and effectiveness of DDT, bed bug infestations have exploded. In 2015, nearly every pest control professional (99.6 percent) had to deal with bed bugs. That is up from 25 percent in 2001, according to the National Pest Management Association. Neonicotinoids looked like at least one solution to the problem — until now. The resistance to neonicotinoids might be new, Pollack said, but it’s not unexpected. Insecticides can be incredibly effective for decades at a time. But if even a tiny percentage of bed bugs are resistant, they will survive and reproduce, eventually creating entire populations that can’t easily be killed off. 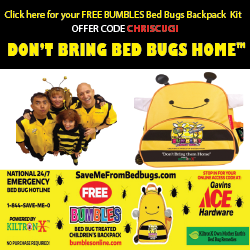 In the study, published recently in the Journal of Medical Entomology, researchers found that the bed bugs from Cincinnati and Michigan were far more resistant to four types of neonicotinoids (acetamiprid, dinotefuran, imidacloprid and thiamethoxam) than bed bugs raised in a colony maintained by entomologist Harold Harlan. Thanks to the “detoxifying enzymes” their bodies produced, the bed bugs from Cincinnati and Michigan were 33,333 times more resistant to acetamiprid than the colony-raised bed bugs. They were more than a hundred times more resistant to the other neonicotinoids, as well. So, should we simply welcome our new insect overlords and resign ourselves to waking up covered in itchy red bites? Not so fast, according to Pollack. To be clear, it’s not good that in some areas, human beings have one less weapon in their arsenal when it comes to killing bed bugs. But that doesn’t mean that people won’t develop new pesticides— potentially ones that are more effective and less toxic than old chemicals like DDT. HAVE YOU SEEN THIS … WHILE IN THE AIR – PESTICIDES TAKE FLIGHT? Do you think she’s spraying Febreze? How many of you have felt sick following a flight, only to chalk it up to a virus or sinus infection you caught from a fellow passenger? What if I told you, you may have been poisoned by pesticides on the plane without knowing it? If you have a fear of flying, the terror just catapulted to a whole new level. While booking my ticket to Rome, Italy, a few weeks ago, the agent quickly read a TSA disclaimer that had me do a double take. So much so, that I stopped her in her tracks and asked her to repeat herself. Basically, if I wanted to travel, I had to agree to the airline’s right to apply pesticides on the plane. In other words, I had to willingly agree to be exposed to poisons. The routine procedure is called Disinsection. A seemingly made up word. “Disinsection is permitted under international law in order to supposedly protect public health, agriculture, and the environment,” states the Department of Transportation. According to the World Health Organization (WHO) and the International Civil Aviation Organization, certain aircraft cabins are sprayed with a ‘quick-acting insecticide’ immediately before takeoff, while passengers are on board. Lastly, they also can apply “residual insecticide to all internal surfaces of the aircraft, except those in food preparation areas.” So breath deep and make the most of that recycled air! I personally don’t think being subject to a pesticide spray while I am stuck in a pressurized cabin is protecting my health; it’s just the opposite—it’s an assault. What happens to people with asthma or someone like me who suffers from an auto immune condition and is uber sensitive to chemicals? Large amounts of a mild poison, in an enclosed space over long periods of time? Do we really need science’s input on this one? The most widely used pesticides for aircraft cabins are synthetic pyrethroids, particularly the chemicals d-phenothrin or permethrin. These are synthetic variations of a chemical found in the chrysanthemum that kills by interfering with insect nervous systems. And they do affect human health, and not in a positive way. Take the prison guard who developed strange symptoms after being exposed. Also, multiple studies have revealed a link between permethrin and Parkinson’s disease. “With little ventilation and in such a closed space, spraying pesticides on airplanes while passengers are still on board is troubling, particularly for sensitive groups like children, pregnant mothers, the elderly, and those with chronic conditions,” says Drew Toher Public Education Associate at Beyond Pesticides. “Even if people are not present during spraying, pesticides applied in such an environment present a risk of residual exposure.” Passengers and employees sealed in a chamber that has been gassed for hours. Spraying of pesticides on planes with chemicals like phenothrin, a neurotoxin, carries the risk of causing cancer and auto-immune diseases as lupus, Parkinson’s disease and memory loss among others. Residual disinsection has been found to pose a hazard to flight attendants. Delta for instance, claims it doesn’t spray while passengers are on board, treating with residual applicants or spraying before passengers board instead. And then one in every eight weeks the entire plane is immersed in a “cloud of stuff” for extra precaution measures. Incidentally, the wait time before humans board is only 45 minutes following an application. Check before you fly with your airline carrier on what they use for “disinsection” (pesticide procedure) in their planes, esp. if you are flying international. Such “disinfection” occurs every day [airline passengers being sprayed with pesticides before flights] in countries all around the world. And, yes, even U.S. airlines engage in certain forms of the practice, though usually spraying is not done when passengers are onboard. As for the debate over the potential dangers of spraying vs. the potential dangers of airborne diseases? It’s an issue many affected passengers clearly need to know more about—prior to booking. It can be disconcerting to suddenly be sprayed with pesticides while locked in a pressurized tube. I’ve experienced this myself in several countries, most recently four years ago in India. Conversely, we’ve seen time and again how quickly air travel can allow insect vectors to transmit such deadly diseases as malaria and yellow fever. There is a need for greater information about both types of dangers. The methods used to disinsect can vary by destination and airline. The World Health Organization (WHO) and the United Nations-chartered International Civil Aviation Organization (ICAO) have established two primary methods: 1) spraying aerosol insecticides in the cabin while passengers are onboard, and 2) treating the airplane’s interior surfaces with a residual insecticide when passengers are not onboard. 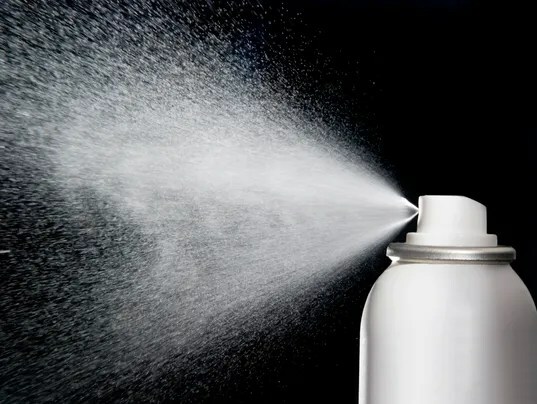 A third method—often used in Panama and American Samoa—is to spray the cabin when passengers are not on board. However, asthma sufferers are among those who should be aware of such “transient discomfort.” In 2010 the International Society of Travel Medicine published a detailed report on this topic. WHO’s optimism did little to allay many fears. In fact, such concerns are not new, and date back decades; for years now environmentalists, medical professionals, academics and media outlets have questioned using pesticides inside cramped and sealed aircraft cabins. And travel blogs are filled with strongly worded opinions on the potential dangers. In addition, the Centers for Disease Control and Prevention details concerns for aircrew members as part of its workplace safety initiative. Such concerns also can affect frequent fliers facing higher exposure to pesticides. AFA also recommends alternatives to spraying, and supports the use of non-chemical means of disinsection, such as “air blowers at the passenger boarding door and specialized net curtains over the cabin service doors.” The spokeswoman says, “These options were initiated by AFA in 2003 and promoted by the DOT and [U.S. Department of Agriculture], but the momentum has slowed in recent years,” due to a lack of funding. Ultimately, AFA suggests alternatives to spraying will not come from the airlines, but must be regulated by the DOT. While policies on disinsection are established by government agencies, individual airlines implement the methodologies. Some major international carriers—such as Air Canada, British Airways, Qatar Airways and Virgin Atlantic—provide details on their specific policies or links to the DOT’s overview. 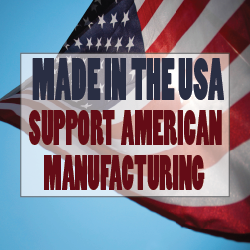 But you should contact your carrier if you have unanswered questions. • American states it only disinsects on aircraft operating to Port of Spain. A spokesman explains: “Spraying is done during overnight cleans for the aircraft. Maintenance clears the planes for up to two hours until it’s safe to re-enter.” Passengers with any questions are advised to contact Ryan Correa at ryan.correa@aa.com. • Delta states that “spraying is performed without passengers or crew members onboard,” either prior to boarding or after deplaning. A source at Delta advises the two primary destinations for disinsection are Australia and Chile, although it occurs “occasionally” in West Africa. Proponents of current aircraft disinsection policies note that failing to address airborne disease is unthinkable, while those worried about harmful side effects recommend alternative methodologies. What seems clear is far too many airline passengers are unaware of such issues until they are faced with mandatory spraying, so the need for greater education is apparent. Even The Science Babe and The Food Babe could probably agree on that.